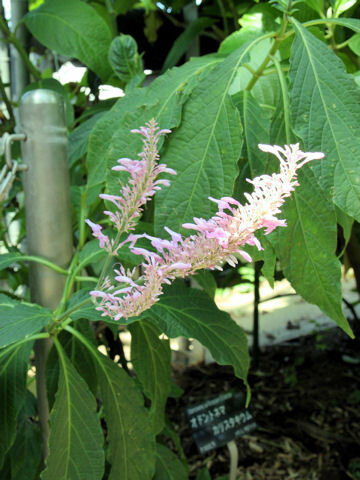 Pink firespike (Odontonema callistachyum) belongs to Acanthaceae (the Ruellia family). 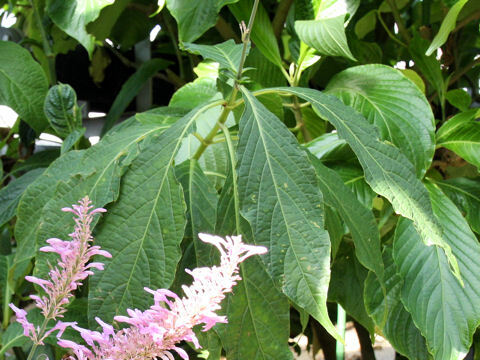 It is an everegreen shrub that is native to Mexico and Central America. This shrub is upright and can reach 1.8-2.4 m in height. The leaves are deep green, glossy, oblong and oppsite. 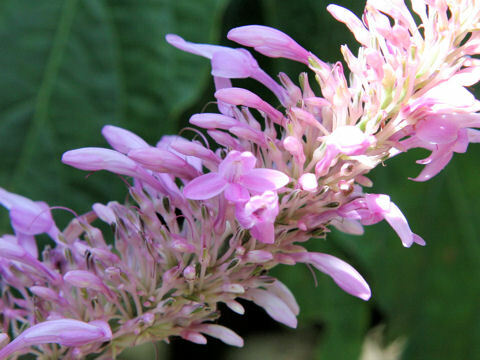 The flowers are pink to pale magenta, tubular and bloom in the terminal spikes from spring to fall.